The Baldwin Piano Legacy is about more than pianos—it’s about peerless quality and the absolute best-sounding and best-playing pianos anywhere. 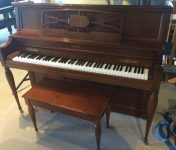 The company got its start in 1862 when beloved Cincinnati-based piano teacher Dwight Hamilton Baldwin launched a Decker Brothers piano dealership. In 1866, he hired Lucien Wulsin as a clerk, and the two eventually became partners in the venture, at the time named D.H. Baldwin & Company. 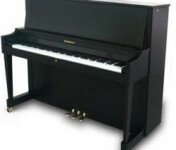 Since then, Baldwin has become the only American piano company to make and distribute quality pianos to all price ranges and aspects of the piano market. 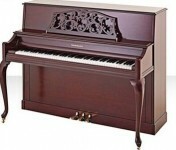 The handmade Artist Grands, built at the Trumann Factory in the U.S.A., are among the finest anywhere, at any price. 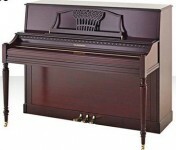 Baldwin pianos are famous for their touch, tone, and durability. History is extremely important to the Baldwin brand. Baldwin has been in the business for 150 years and has become the piano of choice for the world’s hottest artists, including Aaron Copeland, Liberace, Dave Brubeck, Marian McPartland, Ben Folds, and Miley Cyrus. 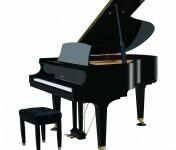 The most important aspect of technology in Baldwin pianos is their scale design. 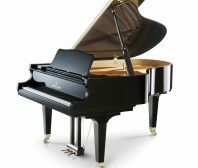 The scale design is the “recipe” for the piano that consists of the materials used and all specifications, including the exact shape of the soundboards, the placement of the bridges and ribs, the length of the strings and the thickness of the rims and bracing. But it doesn’t stop there. The Accu-just hitch pins and Synchro-tone bass strings used on ArtistGrands are also important Baldwin innovations. 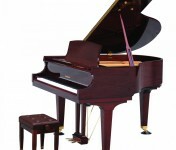 Fans of Baldwin pianos love the big “American” sound of the instruments, particularly in the bass area, and the clear “bell-like” quality in the high treble end. 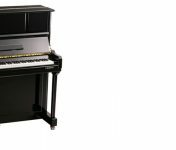 Fans of Baldwin vertical pianos love the beautiful cabinetry of the Acrosonic models and the durability of the institutional models. 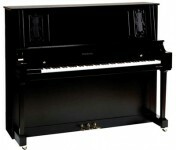 At Roger’s Piano, we carry a variety of new and preowned Baldwin pianos in our showroom in Natick, MA. Contact us today at 508-545-0766 for more information or to schedule an appointment for a private showing.